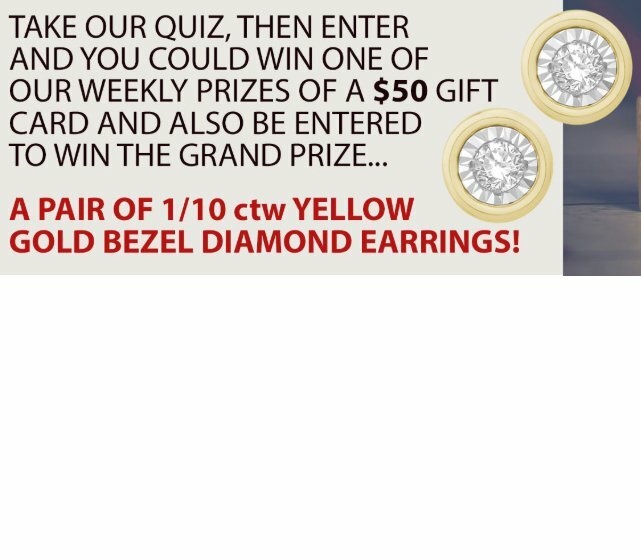 Grand Prize Winner will receive a pair of Diamond Bezel Earrings. Take the quiz to enter and win! 7 Weekly Prize Winners will each receive a $50 Robert Irwin Jewelers gift card. PRIZE is a utility ATV Grizzly eps vehicle valued at $9,899.00. If you use a mobile device to enter the contest, make sure there is not a space in your email address.